Integra Global is an American-based international insurance firm that provides international health and expatriate medical insurance. Integra Global focuses on worldwide medical care for Americans living outside of the United States, but has options that could suit any foreign national living outside of their country of origin. Integra Global's available options bring a very important sense of security to expatriates and their families. An integral aspect of all Integra Global plans is that all medical coverage allows total freedom of choice to pick the type of health care you need. Which medical facilities, physicians, and even the country where the services are rendered are all decisions to be made by you and your family alone. In Canada and the United States, the numerous hospitals and doctors affiliated with Integra Global make up the largest health network in North America. For any kind of overseas insurance, Integra Global provides professional and comprehensive options. With staff and partner organizations across the globe, Integra Global will make sure that all your health care needs are taken care of quickly and with the type of service that you deserve. One of the factors that sets Integra Global apart from other worldwide insurance companies is the ability to provide excellent coverage at an affordable price. 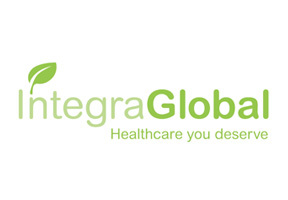 While many providers charge abnormally high rates for overseas insurance, Integra Global gives you the quality of care you want for a price that you feel comfortable paying. This allows you to live a comfortable expatriate lifestyle without the worries of high insurance premiums. Another positive aspect of Integra Global's coverage is that that company specializes in expatriate medical insurance. Experience has led to expertise in the field. Integra Global knows exactly how to meet your international medical needs, and may even anticipate concerns that you haven't yet considered. Integra Global knows that health is a big concern, and therefore is always providing the latest health information through the Integra Global website. Worldwide health news, with lifestyle and region-specific sections, are available with the click of a button, keeping you informed wherever you are. For more information about Integra Global's expatriate health insurance, contact our insurance advisors.